The following article by Mike Boehm appeared in the Entertainment section of the Los Angeles Times on August 5, 2011. All copyrights are reserved by the appropriate party or parties. If you set up a website and put out an open call for photographs of Los Angeles -– with a $30 entry fee to ensure that only serious shooters would respond — what would you get? If you impaneled five experts to judge the pictures, what would they find to admire? If you put their picks in a gallery show and posted them online, would eyeballs gather and be enthralled? And might the show have enough legs to travel the world and send out a vision -– actually 42 visions -– of what constitutes L.A.? 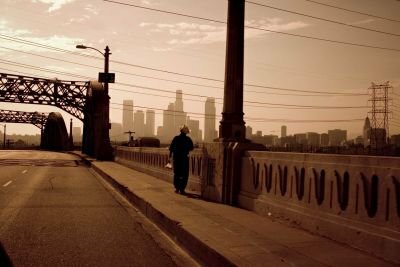 The answers to the first two questions are in, and “I Love L.A.,” featuring the judges’ picks of 50 photographs by the 42 shooters, will open Aug. 11 with a free preview reception from 7 p.m. to 9 p.m. in the Pacific Ballroom at the downtown Wilshire Grand Hotel. Then it will run Aug. 13 to Sept. 17 at Duncan Miller Gallery, 10959 Venice Blvd. “I Love L.A.” is already up on its Facebook page, where viewers can vote for their own favorites -– public opinion via Facebook and in person at the gallery will determine how about $20,000 worth of prize photo equipment is allocated. Miller said he’s working on the Tokyo part -– actually Seoul is the hoped-for first stop on the hoped-for tour, and a Paris art festival is another possibility. He said he’s been working with L.A.’s sister city program and the cultural tourism chief at L.A. Inc., the Los Angeles Convention and Visitors Bureau, on trying to place the exhibition overseas. The jurors were Miller, Steven Banks, design director of Los Angeles magazine; Los Angeles Times staff photographer Barbara Davidson, whose “Victims of Gang Violence” won this year’s Pulitzer Prize for feature photography; Rebecca Morse, associate curator at L.A.’s Museum of Contemporary Art; and Karen Sinsheimer, curator of photography at the Santa Barbara Museum of Art.Miller said 242 photographers anted up the entry fee and submitted 740 pictures (he said each contestant got more than $30 worth of free photo equipment or services he’d lined up from sponsors). 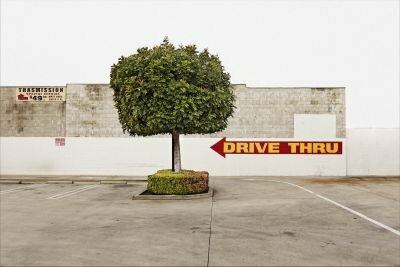 About six of the photographers picked for the exhibition “will be pretty well known in the L.A. [photography] community, and another 12 shoot for a living,” he said. Others chosen had come out of the woodwork, including photographers based in Germany and France. The average selling price for the pictures is about $600, Miller said, and a 72-page exhibition catalog is available for $35. 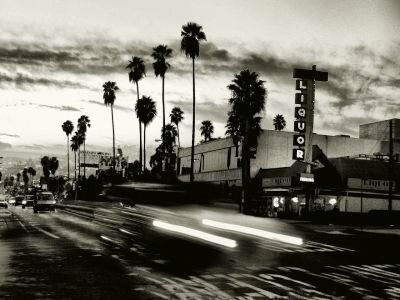 If there was a surprise, the gallery owner said, it’s that the pictures submitted were devoid of the bleak vision of L.A. defined by Charles Manson, the Rodney King riots or skid row. This exhibition will run Aug. 13 to Sept. 17 at Duncan Miller Gallery, 10959 Venice Blvd.